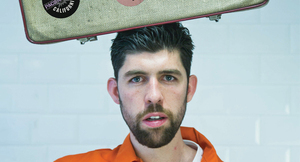 Dramatic high jinks at the launch of this year’s Dublin Fringe Festival. 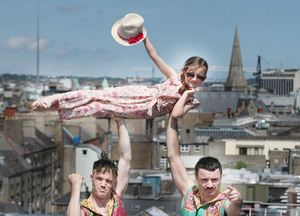 The festival will take over Dublin City for 16 days and nights running from September 9 – 24 featuring Cadhla McAnally (above holding hat), ‘Sheet favourites Lords of Strut (above, holding Cadhla) Jerry Fish and dancers Kevin Coquelard, Sebastiao Kamalandua, Ryan O Neill and Mufutau Yusuf. Posted in Misc and tagged Dublin Fringe Festival at 4:59 pm on July 12, 2017 by Broadsheet.